The iPhone 8, iPhone 8 Plus, and upcoming iPhone X include support for Galileo, Europe's Global Satellite Navigation System. While this information has been listed on Apple's iPhone technical specifications page since the devices debuted earlier this month, it's a feature update that's received little attention. Galileo joins existing support for the Global Positioning System (GPS) operated by the U.S. government, the Global Navigation Satellite System (GLONASS) operated by the Russian Aerospace Defense Forces, and QZSS, the regional Quasi-Zenith Satellite System used in Japan. According to the European Global Navigation Satellite Systems Agency, Galileo support in the new iPhones will allow users to benefit from more precise positioning that's able to combine GPS, GLONASS, and Galileo signals. Galileo, says the agency, has a modern signal structure that's able to help users better maintain their position fix when navigating through cities worldwide. Multi-satellite support also increases signal availability in urban areas where buildings can obstruct the sky and limit the number of visible satellites. Galileo has 15 operational satellites in orbit and three that are in testing, compared to 31 GPS satellites and 24 GLONASS satellites. By 2020, Galileo is expected to have 30 satellites operational. Worldwide support for QZSS is also new in Apple's 2017 iPhone lineup. iPhone 7 and iPhone 7 Plus models sold in Japan previously supported QZSS, but now all iPhones offer the feature. QZSS, unlike Galileo, GPS, and GLONASS, is limited to three satellites and is receivable only within Japan. This is such a catch-up phone. Still not even there. Low res IPS, small battery, huge top and bottom bezels, still limited in all sorts of ways by the OS. Not to mention the notebook and PC lines... Full of stupid. The event this year was the most sad ever. They were clearly humbled and knew what they were offering wasn't good. Get rid of the management. Catch up faster. Fix these idiotic decisions being made. What, are you a speech writer for Trump, just slumming on an Apple board for the evening? Not bad considering it is not a real country. Curious if anyone has tested this and seen a noticeable difference? "Full of stupid" ? Are you the Mario and Luigi Superstar Saga villain, Fawful? I agree that Apple is having an annus horribilis with its iPhone line. But the iPad Pro 10.5 sent the competition blasting off once again. Galileo really is a major improvement to existing positioning systems. 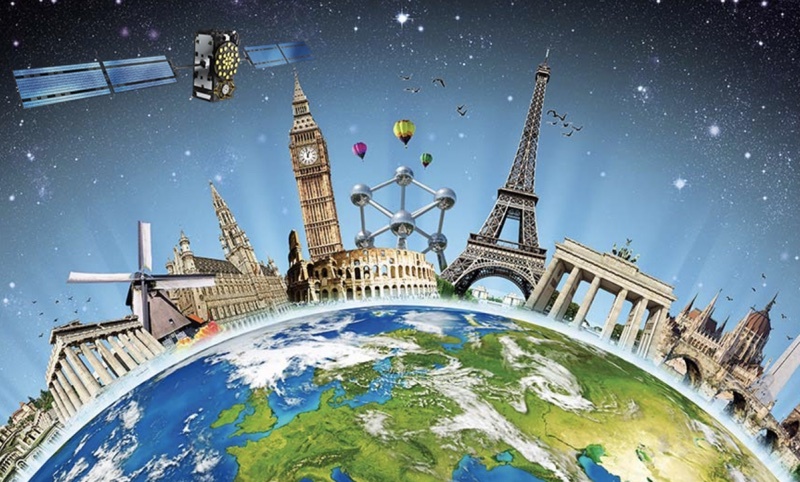 There are only three such systems with global coverage: the United States' Global Positioning System (GPS), Russia's Global Navigation Satellite System (GLONASS), and the European Union's Galileo. For comparison, the accuracy of GPS is 5 metres, GLONASS is 2 metres, and Galileo is 1 centimetre. Also, Galileo provides a new global search and rescue service. Its satellites could relay a distress signal from an iPhone (if Apple supports it) to the nearest rescue centre (under the International Cospas-Sarsat Programme), which will then begin a rescue operation. Also, its the first positioning system that can return a message to inform the user that their distress signal has been received and help is on its way. All new cars sold in the EU will be required to support Galileo from 2020. For comparison, the accuracy of GPS is 5 metres, GLONASS is 2 metres, and Galileo is 1 centimetre (1). (1) The higher-precision capabilities will be available for paying commercial users. The European system is global, just like GPS; it is not limited to the EU, like the Japanese system being restricted to Japan. Between this useful enhancement and the updated modems not getting the most basic of mention at the presser, while awkward game developers get time to pimp their niche games, another VP goes on and on about the asthetics of their mall storefronts, and many minutes devoted to enhanced emoji, really shows how far Apple has gone in the past 5 years.